To celebrate their new kitchen and extension I was commissioned to create a painting to compliment the bright tones of this modern interior. As there was already a string block of color opposing the wall for the artwork I thought it better to create a softer image reflecting, not only the rectangular dimensions but also picking up just a touch of green. 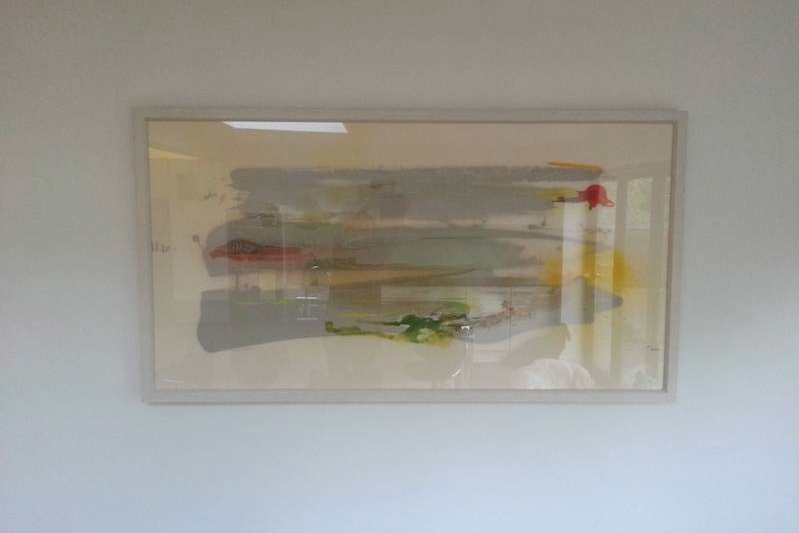 The abstract painting holds an optimistic view of the lanscdape.